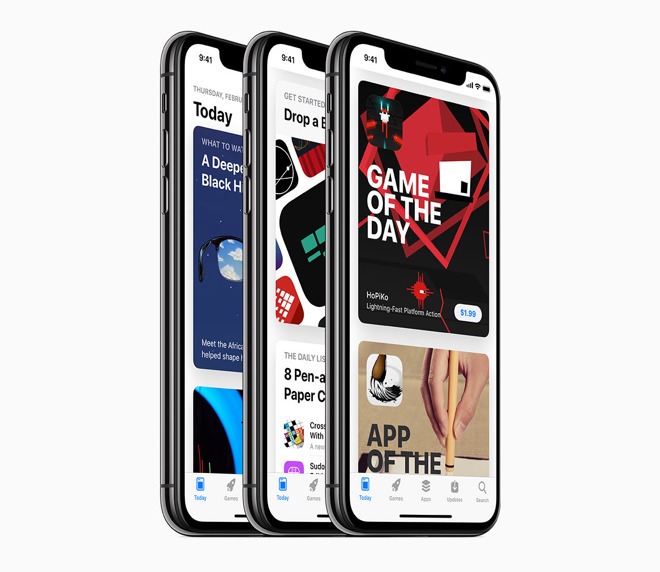 Apple on Wednesday altered its App Store guidelines to allow sending in-app purchases as gifts, extending gifting beyond just apps themselves. "Apps may enable gifting of items that are eligible for in-app purchase to others. Such gifts may only be refunded to the original purchaser and may not be exchanged," the new language reads. Until today the rules explicitly banned that kind of transaction, either "directly or indirectly." Even with the change, however, there don't yet appear to be any apps offering in-app gifts, such as subscriptions or game expansions. Apple is presumably still working on the technology and simply paving the way by lifting restrictions. Ideally the company would have the feature active by Christmas. The holiday and its immediate aftermath are usually when App Store downloads peak, since many people are receiving new iPhones, iPads, and/or App Store gift cards, and rushing to make the most of them. Such a rollout is unlikely though, mostly because an annual submissions downtime is set for Dec. 23 to Dec. 27.